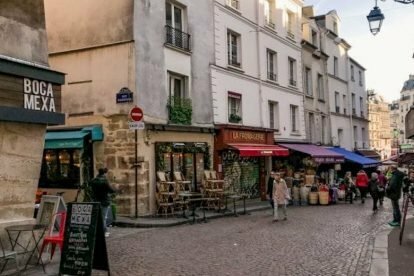 What makes the city of London attract people from all over the world, inviting them to stay for longer than they even planned? Our London Spotters will tell you it’s how the city manages to celebrate and enjoy the variety of people that live and come visit; it’s the endless surprise of new ideas, businesses, people and atmospheres; the great food you can find here (and especially the variety of bars and restaurants); it’s the sensory overload you get when exploring the city. Here are some of our picks for some of the most unique, locals gems in London, in the words of our very own team of Spotters. Let’s be real, London isn’t known for having the best weather. Rainy days are all too common in this city, but sometimes your craving for a more exotic experience. 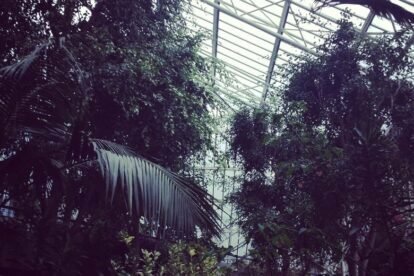 The Barbican Conservatory can help satisfy that craving. 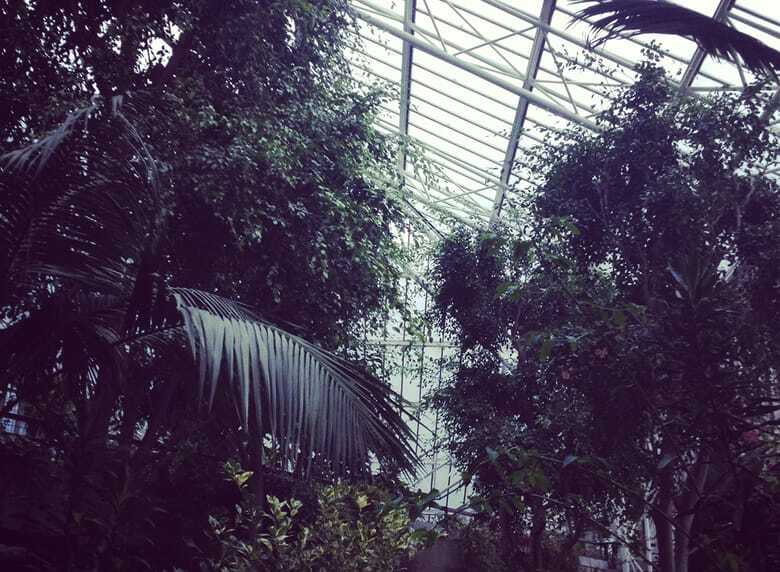 If you manage to find your way through the Barbican estate you can find the conservatory on the 3rd floor. It’s London’s second largest conservatory, and it houses around 2000 species of tropical plants. Walking through it is a peaceful experience that takes you away from gloomy urban life for a few hours, which we all need sometimes. Although getting to Trinity Buoy Warf is a bit difficult unless you’re by car, it is definitely worth taking a little detour for. 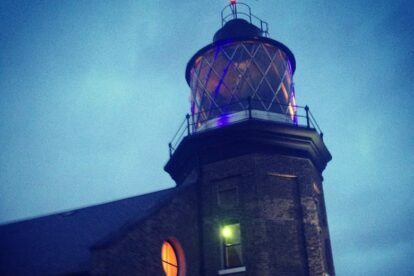 It’s London’s only lighthouse! The lighthouse is surrounded by Container City, a studio and office complex built from old sea shipping containers. Once you’re inside the lighthouse it’s best to go straight to the top, here you have a romantic view of the Thames (great date spot!). 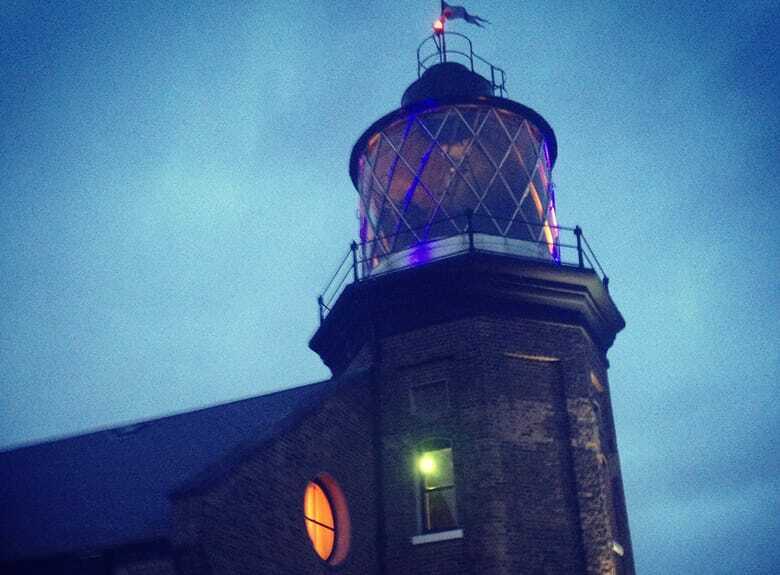 Another interesting feature of this lovely lighthouse is the fact that it is home to The Longplayer. This is a one thousand year long musical composition, don’t ask me how it works because it’s quite complex, but the point is that it will not repeat itself for a thousand years. Union Chapel isn’t just a place for prayers and weddings. 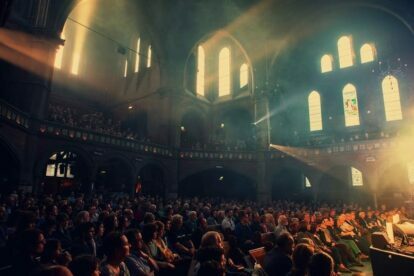 This church is now a full-fledged music venue! 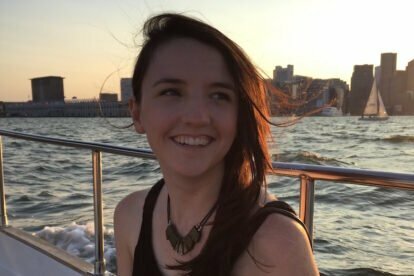 They started out with acoustic performances and one-man shows, but it later started hosting concerts and events and developed itself into a venue open to a large variety of genres. You can find anything from jazz, folk, rock and soul here. The music here sounds amazing, due to the dramatic acoustics of the church. It’s truly a new experience to listen to music played in such a venue. And just looking around to see the Victorian Gothic architecture is nice. In Hackney, one of the greenest Boroughs in London, you can find a hidden space tucked away underneath an old railway line. This little hidden gem is called Dalston Eastern Curve Garden. 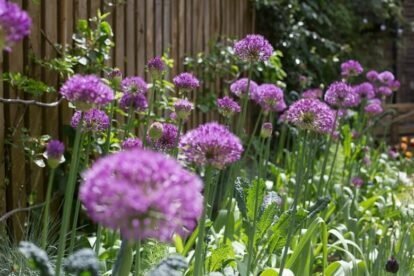 Although it’s quite small, it’s a very charming garden to look at, and the fact that it is so tiny only adds to its charm in my opinion. There are birch and hazel trees, butterfly bushes, herbs, fruits, veggies and little art pieces spread around. You can also find a beautiful glasshouse called the ‘Pineapple House’. The amazing contrast between London’s urban character and the serenity of the Curve Garden is what makes it so special. Mudlarking is a British tradition that stems from the 18th-century when the poor would scavenge for valuables lost in the Thames to sell them. 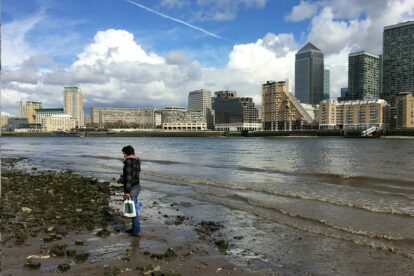 Nowadays you can find an active community of people who do mudlarking for fun and scavenge for treasures on the foreshore. When doing this you’re likely to find some historic little leftovers, such as buttons or a piece of silverware. If you want to experience mudlarking you should now that you have to go at low tide. And that you will get very, very muddy. Make sure to wear some sturdy shoes and clothing you’re not too attached to. Also, make sure to apply for a permit in advance. There are also some rules to read to make sure you have a safe experience! 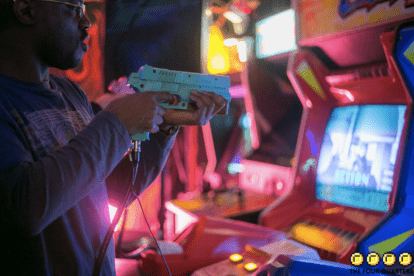 The Four Quarters Bar fully embraces the nostalgia of arcades. Think flashing lights, seeing in 8-bit and bleepy video game sounds. And adding drinks to this experience only makes it better! 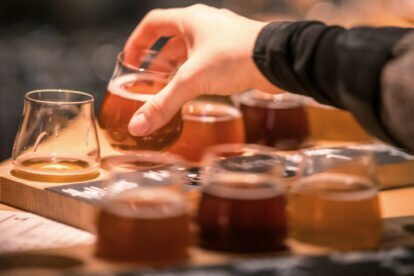 They have a nice variety of beers and over a dozen arcade games to play whilst visiting! Go back to your childhood and emerse yourself into the colorful, noisy world of arcade games. 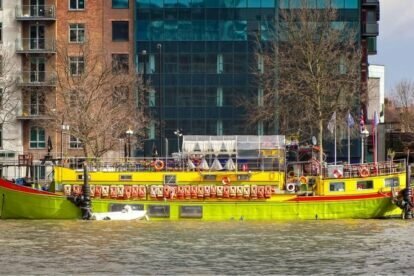 The Tamesis Dock is a floating pub that’s permanently docked at Albert Embankment. 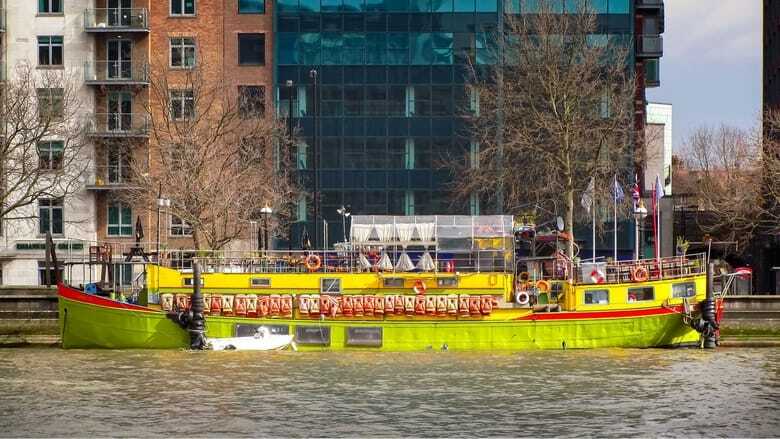 The boat has several floors, which makes it feel a lot bigger than it is. It’s decorated with multi-colored fairy lights and cute little plants. On the top deck, you can sit on some picnic benches or metal stools. And the bottom floor has a swinging egg-shaped chair! The vibe is super relaxed and it’s often free unless there’s live music that night. The best part is probably the great view over the river! 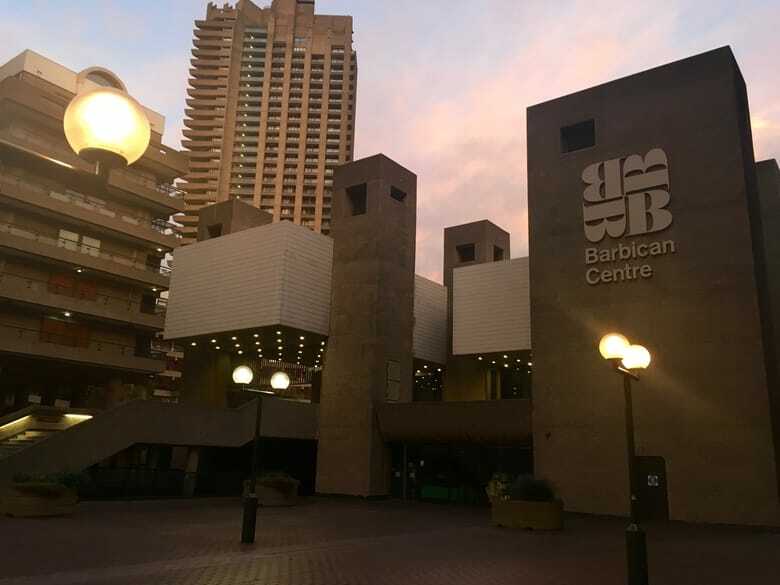 The Barbican is an outstanding piece of architecture, it was built in the 1960’s to function as a housing estate in an area that had been bombed in WWII. Nowadays it’s one of London’s most important cultural centers. The building is great to see and is known by its brutalist style. 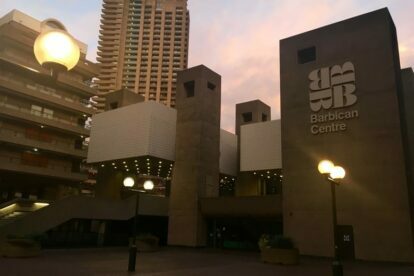 The Barbican offers all types of art, from theatre to visual arts to cinema, they have it all! The cinema, in particular, is amazing because they have a great selection of films. A well-balanced mix of new releases and classics from every era. What also adds to the cinema experience is that the screenings are often accompanied by screen talks, Q&A’s or discussion after the movie. If there was ever a place to take amazing pictures and wander around endlessly, it’s God’s own Junkyard. It is located in an industrial estate in Walthamstow. 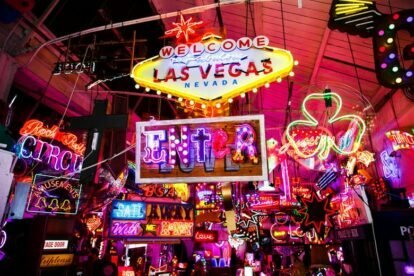 This location adds to the impressiveness of the junkyard, which is filled to the brim with neon! God’s Own Junkyards is actually world-famous, and it makes complete sense that it is. 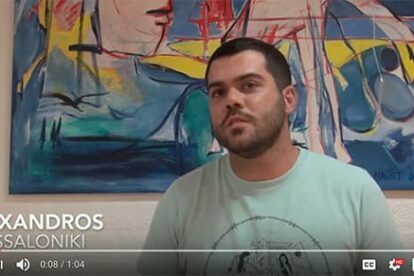 TV and film companies go there to buy great pieces for their backgrounds, and global stars buy their art here. 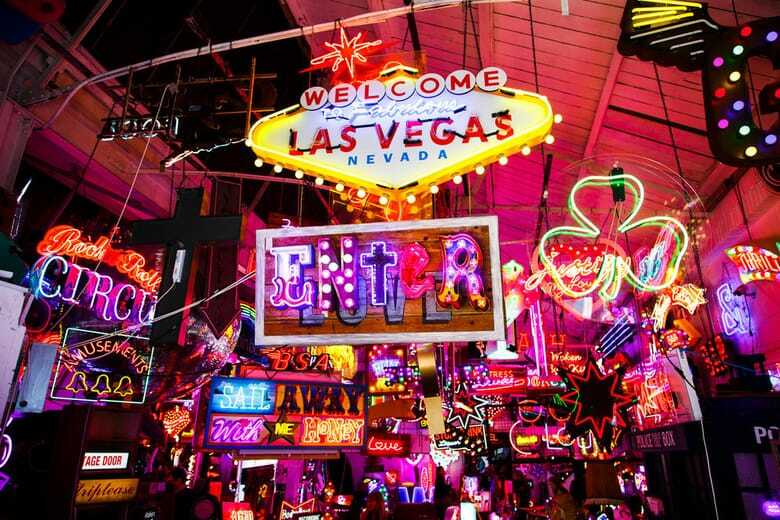 But almost everyone can buy something here, as almost all the neon signs are for sale. 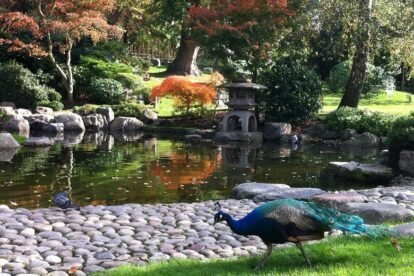 Although Holland Park is a lot smaller than it’s more famous siblings Hyde Park and Richmond Park, Holland Park features many different types of activities and spots. 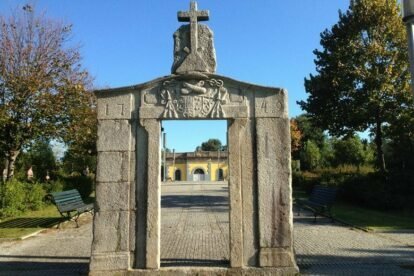 Here you can find a field for football or cricket, an ecology center, woods and a hostel. 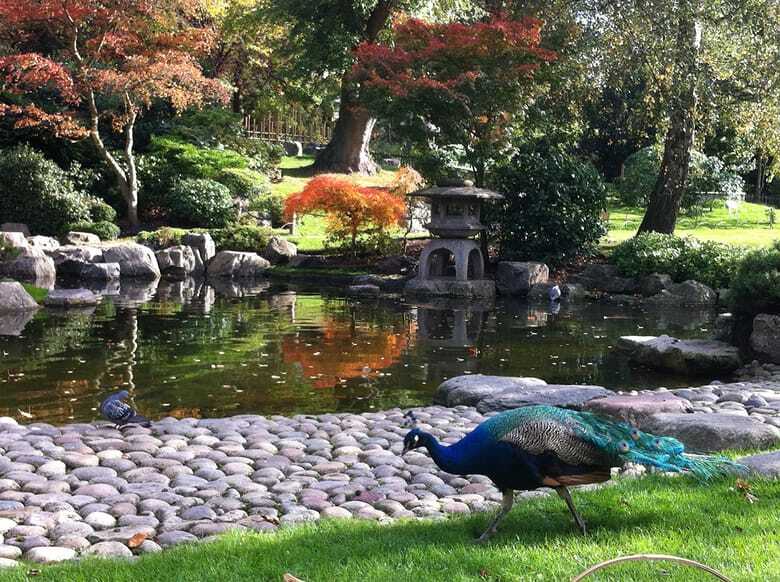 However, the best part of the park is the tranquil Kyoto Garden, a tiny little taste of Japan in the city of London. The garden opened back in 1991 as a gift from Kyoto to celebrate the friendship between Japan and Great Britain. The garden’s design reflects the most important aspects of Japanese gardens, such as stone lanterns, tiered waterfalls and fish. In the Horniman Museum, you can find all types of treasures. The items for show here are quite literally treasures. They’re items that Victorian collector Frederick John Horniman’s collected throughout his travels. 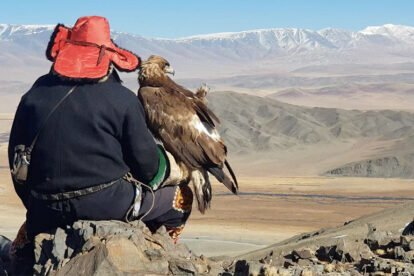 He opened up his private collection, and now everyone can come visit this bizarre mix of eclectic items. The most famous item in the museums is the overstuffed walrus. 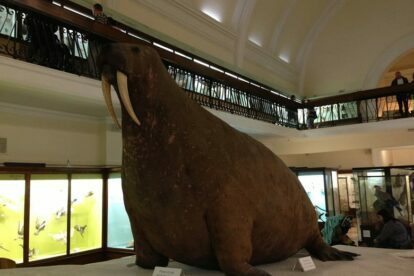 The story goes that when the walrus first got to the Horniman Museum, the taxidermist didn’t realize walruses have wrinkly skin. Therefore stuffed the walrus to the brim. 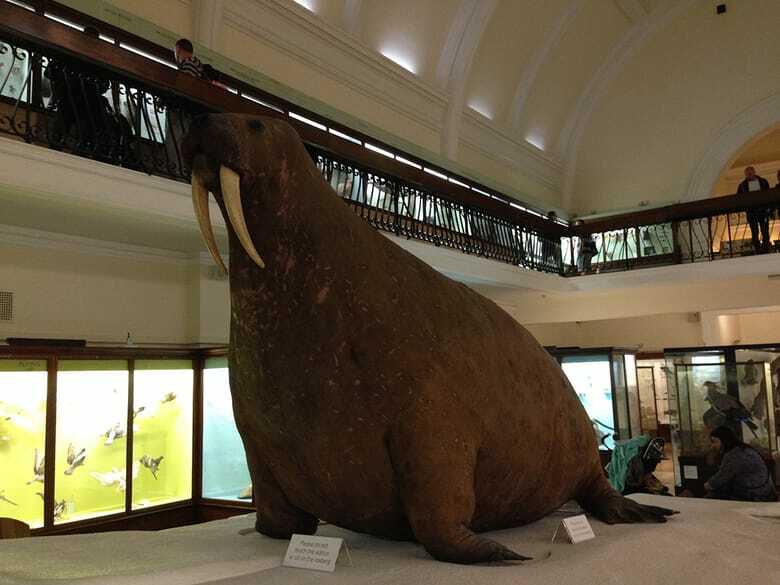 The result is an overstuffed walrus, a great addition to any museum in my opinion. 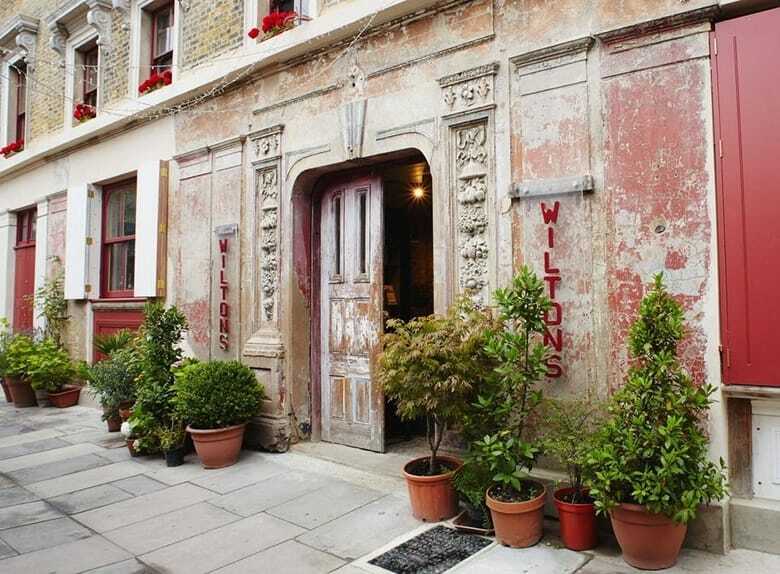 Wilton’s hosts many different types of events such as concerts, theatres, film, cabaret and even dance classes! If you want to know more about the place’s history you can go on one of their tours given on Monday evenings. 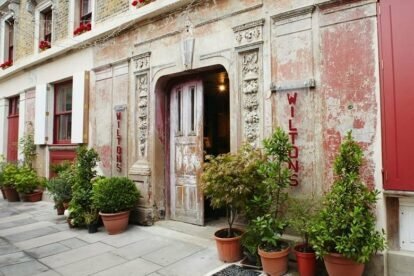 For more hidden gems, check out the Spotted by Locals London cityblog.